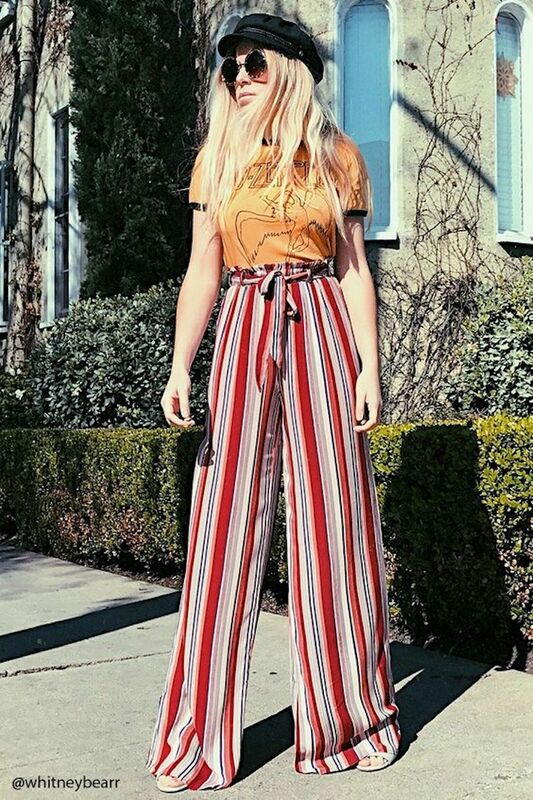 Are you looking for a pair of pants for this Spring or Summer? The good weather will be back soon and if you haven’t idea of what to wear, do not worry. Here you can find three ‘Must-Have’ pants ready to wear: Culottes, Cargo and Palazzo pants. Spring and summer are all about these trousers. Styling them can be tricky but no fear, because we’ve got your back. Whether you’re wearing your culottes to work or to brunch, it doesn’t matter because you will be perfect in every occasion. A five minute walk around and one thing will become clear, everyone owns a pair of these cropped, wide-legged pants. And for good reason – these universally-loved pants can go from day to night with ease. Let these very cool street-style stars inspire you to wear this trend all year long. 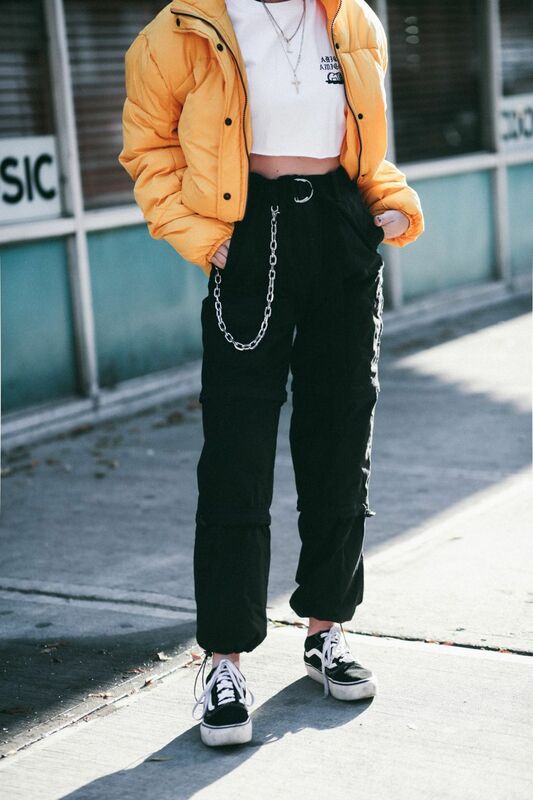 You can find these beautiful cropped pants in literally every shop around you or online. Check out ASOS and New Look for examples if you have been inspired from the pictures above. Finally, trousers with pockets big enough to carry your iPhone! Obviously, this isn’t the first time cargo pants have come into fashion, they were an hit item back in the 90s. But it’s been long enough for them to be revived, firstly at Sies Marjan, Valentino and Prada last summer and now also Fendi. And they are worn by celebrities such as Gigi Hadid, Chrissy Teigen, Rihanna and Emily Ratajkowski. They mostly come in black, beige and military green but they are cool in every colour, even in camouflage. You can simply match them with a white or black cropped T-shirt and you created a casual everyday outfit. 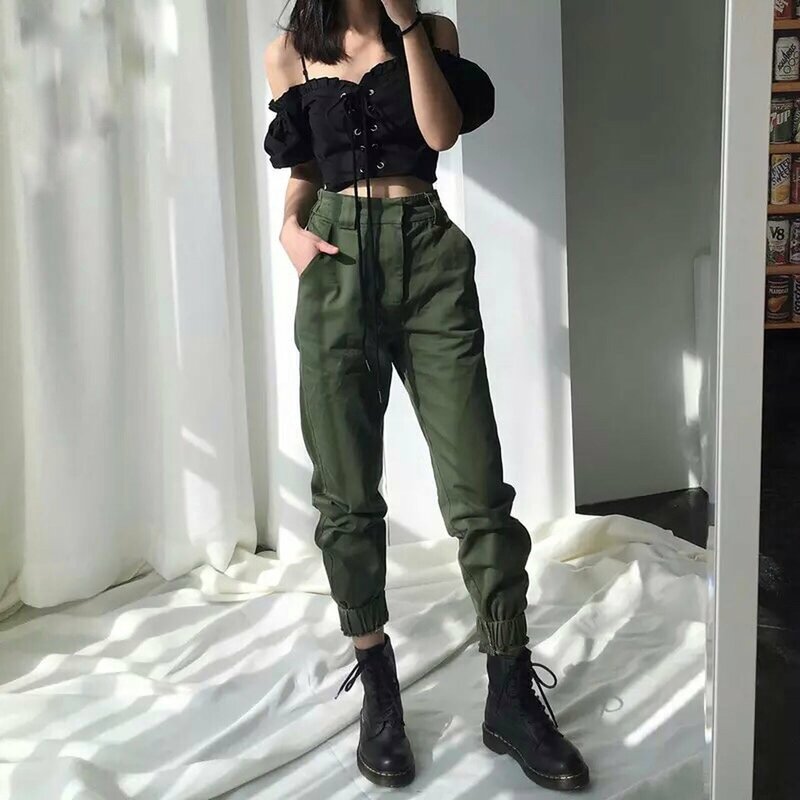 But, as you saw in the picture above, you can even coordinate it with a cool top and be ready to go out on the town or your best friend’s birthday party. Check out Bershka to find your colour. A similar story for the Cargo pants occured for the Palazzo Pants. The Palazzo pants made its first appearance in the 1930’s. Coco Chanel had spotted these elegant men’s trousers on a trip to Venice and identified them as a design that she could re-invent for women. Since that time, the Palazzo pants have found its place in the fashion Hall of Fame. From Kate Moss to Olivia Palermo, Angelina Jolie to Cara Delevingne, Chanel’s legacy lives on in an iconic trouser design cut for comfort, ease and eternal elegance. But not since this year have you seen these trousers everywhere, from the models on the magazine to your neighbour. Below are some inspirational outfits. 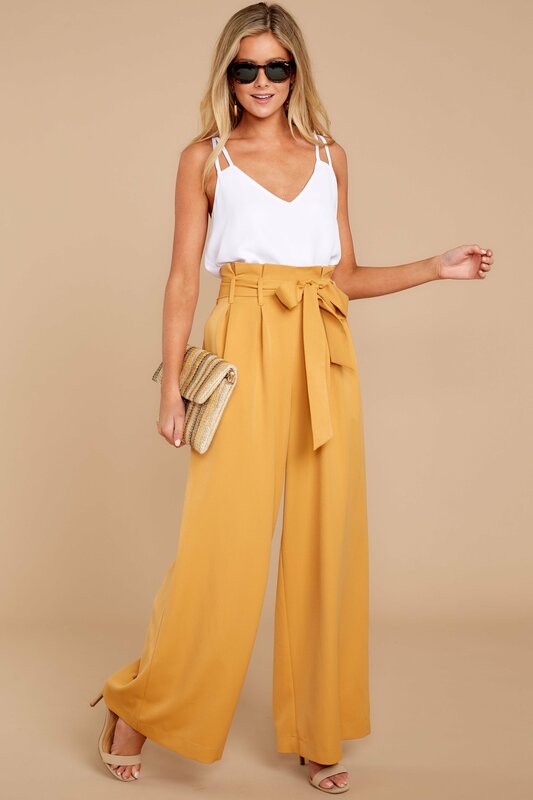 Check out River Island or Zara to get yourself a pair of Palazzo pants.